The Entertainment Book just $5.99 (Reg. $35) -Ends Tonight! This great offers ends tonight! Through the end of July, you can grab the Entertainment Book for only $5.99! You’ll receive exclusive coupons on all your favorite stores, theaters, restaurants and shopping venues. The book is normally $35, but when you use the link here you’ll pay just $5.99 plus shipping costs. The Entertainment® Coupon Book is a fun and easy way to get exclusive discounts on the things you love. Whether it is an everyday task or a complete splurge, the Entertainment® Coupon Book covers it all! From dining out at your favorite restaurant to shopping for gifts online, a trip to the movies or coffee at your favorite cafe down the street; you’ll save all around town. Not only will you save with the Entertainment® Coupon Book, you’ll also save on-the-go with access to thousands of coupons on your mobile device, which can be used anywhere in the country. https://savvywifehappylife.com/wp-content/uploads/2016/09/SavvyWifeHappyLife-logo-2.png 0 0 Brandi https://savvywifehappylife.com/wp-content/uploads/2016/09/SavvyWifeHappyLife-logo-2.png Brandi2013-07-31 11:08:132013-08-01 10:16:08The Entertainment Book just $5.99 (Reg. $35) -Ends Tonight! Last Call to Print those Coupons! It’s the end of the month 🙁 and it’s your last chance to print out those coupons before they possibly disappear forever! $0.55 off any one SKIPPY peanut butter product -Great for back to school sales! $1.00 off any (1) REACH Floss Product -FREE at many stores! $0.50 off ONE BOX Reese’s Puffs cereal -$0.66 at Safeway starting Friday! https://savvywifehappylife.com/wp-content/uploads/2016/09/SavvyWifeHappyLife-logo-2.png 0 0 Brandi https://savvywifehappylife.com/wp-content/uploads/2016/09/SavvyWifeHappyLife-logo-2.png Brandi2013-07-31 10:43:252013-07-31 10:43:25Last Call to Print those Coupons! Safeway: Reese’s Puffs Cereal and More as low as $0.66! Safeway shoppers, be sure to print this $0.50 off ONE BOX Reese’s Puffs cereal coupon for cheap cereal! This price starts this Friday (as a $5 Friday deal) but if you save the deal to your Just for You account, you can get the price Friday-Sunday. Final cost = as low as $0.66 for Reese’s Puffs! https://savvywifehappylife.com/wp-content/uploads/2016/09/SavvyWifeHappyLife-logo-2.png 0 0 Brandi https://savvywifehappylife.com/wp-content/uploads/2016/09/SavvyWifeHappyLife-logo-2.png Brandi2013-07-31 10:27:572013-07-31 10:28:33Safeway: Reese's Puffs Cereal and More as low as $0.66! Believe it or not, Pinecone is still accepting applications! Yay! This will make some of you very happy! Pinecone Research, probably the best product testing and survey site out there, has openings! Hurry on over and fill out your info. If you’re needed, they’ll send you info via email to get you started! Why is Pinecone so popular? They pay you $3 a survey even if you don’t complete it, plus they send you new products to try for FREE! Nerdboy has been with Pinecone for about 2 years and it’s very easy. I normally don’t like survey sites, but Pinecone is definitely the one you’ll want to be involved with. He has received multiple full-size products to try out throughout the year, plus has made money taking the surveys. Go HERE to see if you’re accepted. PineCone Research conducts on-line interviews with consumers from all walks of life to obtain their opinions about new products. To become a panel member, all you need to do is complete the simple form above. This will only take a few minutes of your time. Registrants who complete the signup form online and align with the recruit target(s) and are eligible for membership consideration will immediately receive an email invitation containing a link, ID and password to complete the full registration process. Here’s a great deal on Amazon! 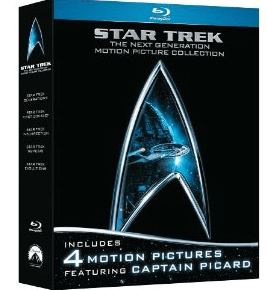 Grab the Star Trek: The Next Generation Motion Picture Collection (First Contact / Generations / Insurrection / Nemesis) [Blu-ray] for just $19.99 (Reg. $57.99)! Shipping is FREE with Amazon Prime or Amazon Student. You can score FREE trials of both! New Coupon for $2 off Aleve! Here’s a new coupon good for $2.00 Off any Aleve 40ct or larger (Excludes Aleve-D Products)! This coupon should come in handy with drugstore deals. It is very limited, so be sure to print soon. https://savvywifehappylife.com/wp-content/uploads/2016/09/SavvyWifeHappyLife-logo-2.png 0 0 Brandi https://savvywifehappylife.com/wp-content/uploads/2016/09/SavvyWifeHappyLife-logo-2.png Brandi2013-07-30 11:20:542013-07-30 11:20:54New Coupon for $2 off Aleve! 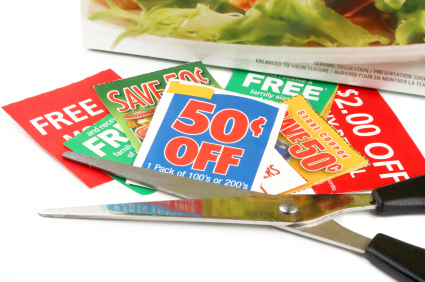 Here’s a list of the newest printable coupons available! Take some time and print your favorites. They won’t stick around long! *HOT* Vistaprint: Custom T-Shirts just $6 + FREE Shipping! YAY! Vistaprint has $6 shipped personalized T-shirts, but it ends tomorrow so order now! Get creative and make a great shirt. You must go through the links in this post to see the discount and free shipping. Now that school is out and summer is quickly approaching, there’s no better time to break out the shorts, t-shirts, and flip-flops. For this week only, you can customize t-shirts for your new grads, proud fathers, summer sports teams, or even the whole family! Choose from over 2,000 cute designs (or design your own from scratch!) to create the perfect, personal gift for a baby shower, family reunion BBQ, wedding party, or our annual Fourth of July cookout. Just upload your favorite pictures, customize the text and colors, and let your creative juices flow because basic t-shirts are only $6 shipped for a limited time! https://savvywifehappylife.com/wp-content/uploads/2016/09/SavvyWifeHappyLife-logo-2.png 0 0 Brandi https://savvywifehappylife.com/wp-content/uploads/2016/09/SavvyWifeHappyLife-logo-2.png Brandi2013-07-29 23:28:252013-07-29 23:28:25*HOT* Vistaprint: Custom T-Shirts just $6 + FREE Shipping! New Skippy Peanut Butter Coupon = Just $1.20/Jar at CVS! 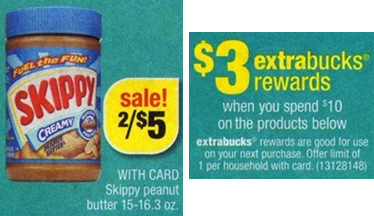 If you’re a CVS shopper, here’s a deal on Skippy with the new $0.55 off any one SKIPPY peanut butter product coupon! Final cost = $4.80, $1.20 each! https://i2.wp.com/savvywifehappylife.com/wp-content/uploads/2013/07/screen-shot-2013-07-29-at-6-01-22-am.png?fit=374%2C216&ssl=1 216 374 Brandi https://savvywifehappylife.com/wp-content/uploads/2016/09/SavvyWifeHappyLife-logo-2.png Brandi2013-07-29 10:10:492013-07-29 10:10:49New Skippy Peanut Butter Coupon = Just $1.20/Jar at CVS! Hurry over and print this new coupon for $0.55 off any one SKIPPY peanut butter product! We haven’t seen many Skippy coupons in awhile, so this will definitely come in handy. If your grocery store doubles coupons, you’ll score $1.10 off one jar of peanut butter. Pair this coupon with upcoming back-to-school sales and you’ve got a hot deal! Print this coupon as soon as possible! It will not last long!